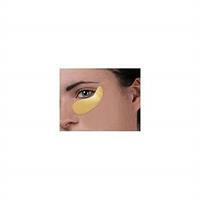 These 24K Gold Eye Masks eliminates dark circles and fine lines. The 100% Collagen and other minerals present within the eye mask, speed-up cell and collagen rejuvenation. The eye masks increases the elasticity in the eye area while reducing eye bags and problems such as dark circles and fine lines. It also firms and moisturizes and revitalizes fatigued eyes.